Without AIP, a Scorpene sub can stay underwater for a maximum of four days; thereafter it needs to surface and re-charge its batteries using diesel gensets. 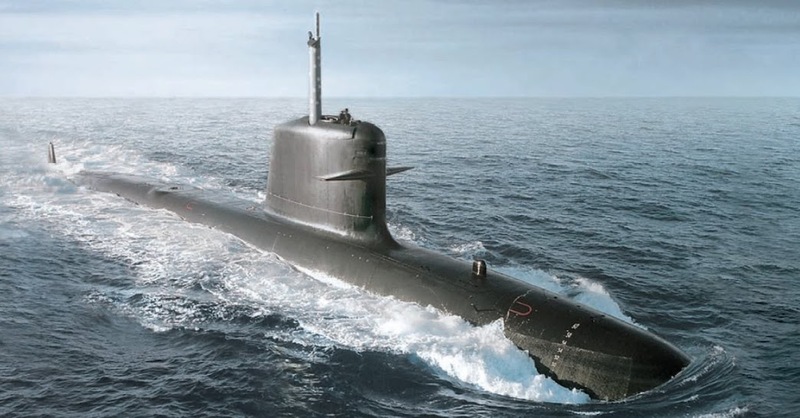 French firm DCNS, which developed the Scorpene, has its own 300-t, second generation AIP plug that can allow the boat to stay under water for as much as three weeks, but the Indian Navy has opted to go with a DRDO developed AIP which has been proven on a land-based prototype. DRDO DG (Naval Systems & Materials), V. Bhujanga Rao told The Hindu that the French MESMA AIP being offered for the Scorpenes is an old system with a steam turbine. According to Rao, the DRDO AIP could later be reconfigured for the submarines to be acquired under Project 75I . Earlier, the Indian Navy asked MDL to equip the fifth and sixth boats with Air Independent Propulsion by fitting an additional section. The four Scorpenes launched earlier could be retrofitted under an upgrade program. Philippe Berger, former submariner and submarines operational marketing manager of DCNS, told Indian journalists in October 2014 that DRDO will be fully responsible for its AIP plug.